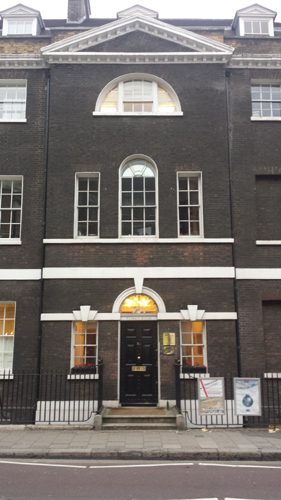 5 Bloomsbury Square was built ca.1703 as part of the estate of the 4th Earl of Southampton. It was altered substantially by the architect Henry Flitcroft in 1744 who added the Palladian details to the façade on (what is now) Bloomsbury Way. 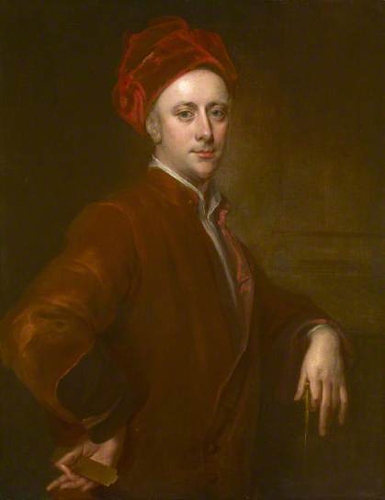 From 1704 until his death in 1714, 5 Bloomsbury Square was the home of Dr John Radcliffe, physician to King William III and Queen Anne. For much of the nineteenth century 5 Bloomsbury Square was occupied by solicitors including Frederick Turner, Charles Ford and Abraham Moses Cohen. By 1888 it was occupied by the architect Arthur Beresford Pite (1861-1934). Pite was a professor at the Royal College of Art and at the School of Architecture in Cambridge. Architects continued to be housed at 5 Bloomsbury Square throughout the twentieth century. Other resident organizations have included the Deaf and Dumb Females Asylum (1908), The Society of Genealogists (1922), The Royal Society of St. George (1922), the Brazilian Information Bureau (1938) and the Ada Coleman Memorial Stables (1946). 5A Bloomsbury Square was purchased by the Pushkin House Trust in 2005 and renovated. Since then it has been known as The Pushkin House. I was asked to advise on decoration. 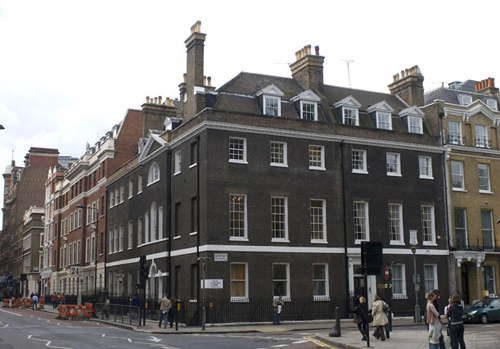 Patrick – I am intrigued to know that 5 Bloomsbury Square is known as Pushkin House. 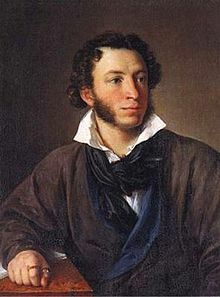 What is the link with Pushkin?